Many consider wines from Australia to be on par with some of the best wines in the world. The wines from Australia vary in style and flavors from traditional, Old World style wines to exciting New World wines. While Australia may be best known for its Shiraz, the country offers many varietals and blends. 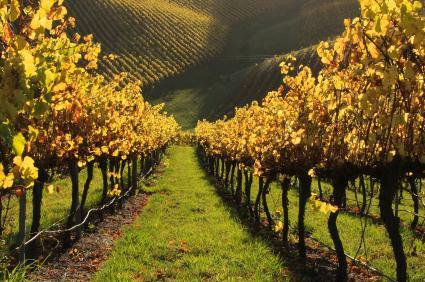 Wine grapes grown in the country range from cool weather grapes such as Riesling and Pinot Noir to grapes that thrive in warm, dry climates such as Cabernet Sauvignon and Grenache. Winemakers are doing many exciting things in Australia, creating New World wines with big, bold, juicy flavors. Many of these ripe, spicy wines have deeply concentrated flavors that excite the palate. While big, bold flavors characterize many of Australia's finest wines, others have more subtle Old World finesse that comes from traditional winemaking processes. Winemakers in Australia also make excellent fortified and sweet wines (called stickies), as well as delicious sparkling wines. 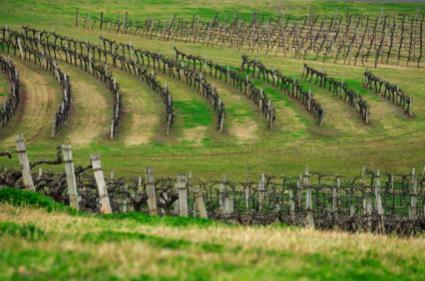 With a climate perfect for growing grapes, Australia has more than 60 wine regions. Several of these regions are particularly well-known for producing world class wines. The country is divided into seven major wine producing regions with multiple sub-regions in each. Located on the Western third of the continent, Western Australia is home to a number of sub-regions. However, most of the wines produced in Western Australia are in the region's southwestern most part. The area is characterized by a costal climate, although temperature varies depending on sub-regions. 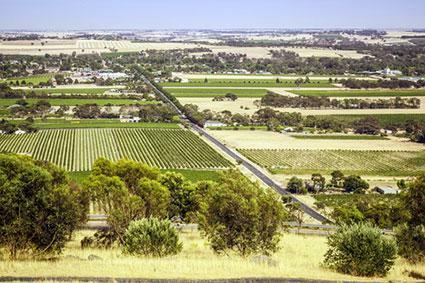 This region, which sits in the Swan Valley, has the hottest climate of any grape growing region in Australia. The wines made from the grapes in this region are often concentrated in flavor due to the high heat and relatively low rainfall of the region. The region is best known for its white varietals, including Chenin Blanc and Chardonnay. Geographically, this is Australia's largest wine-producing region. While climate in subregions vary, in general the climate is a cooler, more temperate climate due to its coastal location. A cooler climate lends itself well to growing the persnickety Pinot Noir grape, as well as other varietals such as Riesling, Malbec, and Shiraz. The Indian Ocean brings plenty of rainfall and a cool climate to the Margaret River region. Because of this, cool weather grapes such as Sauvignon Blanc, Merlot, Chardonnay, and Semillion thrive here. This region, located in North Central Australia, has a very hot climate. Depending on the subregion, the climate may also be very dry or very humid. The growing season is short and hot, resulting in wines with a high alcohol content. Because of this, grapes grown here are mostly used in fortified wines. The most common grapes found in this region are hardy varieties of Shiraz and Cabernet Sauvignon. South Australia is the country's most well-known major wine region. It is located around the city of Adelaide and is known as Australia's wine capitol. Some of Australia's most well-known wine producers are located in South Australia. The overall climate in South Australia is hot and dry, although many sub-climates exist throughout the region. There are many major wine regions in South Australia. Some of the most prominent follow. Located in Southern Australia, the Barossa Valley has produced wines since the middle of the 19th century. The climate in the Barossa Valley is hot and dry, and the results show in the wines which are powerfully concentrated and often very fruit forward. The result are delicious, jammy wines with deep colors and heady flavors. The region produces both red and white wines, although it is particularly well-known for reds made from grapes like Shiraz, Grenache, and Mourvedre. The region produces wines made from white grapes, as well, including Semillion, Chardonnay, and Riesling. Also located in Southern Australia, McLaren Vale's hot, dry climate produces powerfully concentrated wines. While Shiraz is the most widely celebrated wine from the region, McLaren Vale also produces excellent wines made from Grenache, Chardonnay, Riesling, Cabernet Sauvignon, Zinfandel, and Viognier. The wines from this region are consistently good from vintage to vintage due to the excellent grape growing conditions. The Limestone Coast of South Australia is well-known for its terra rosa soil (red clay soil produced from weathered limestone), which imparts unique flavors to the grapes and resultant wines. Subregions on the Limestone Coast include Padthaway, Coonwarra, and Mount Benson. The coastal climate is similar to that of France's Bordeaux region, so Cabernet Sauvignon thrives there. 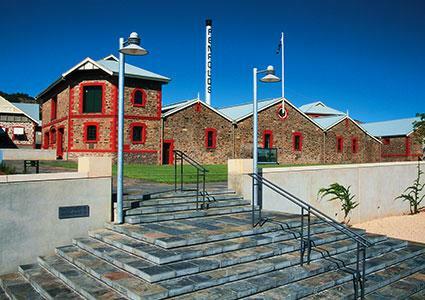 Located in Northeastern coastal Australia, Queensland has been producing wine since 1860. Recently, Queensland has seen great growth in its wine industry. The area has multiple subregions with varying microclimates ranging from hot and dry to cool and wet. Subregions in Queensland include the Granite Belt, Sunshine Coast, Scenic Rim, Darling Downs, Somerset Valley, Gold Coast Hinterlands, North Burnett, South Burnett, and Western Downs. The varying climates allow wine producers in the region to grow grapes of multiple varieties, such as Muscat, Tempranillo, Gewurztraminer, Chardonnay, and Riesling among others. Located in Australia's most populated state, New South Wales has multiple microclimates and subregions. Soil in the area is predominately loam, clay, and sandstone. Grapes vary by subregion. Located near Sydney, Hunter Valley is best known for its Semillion production. The climate produces challenges for grape growers due to high heat, humidity, and high rainfall. 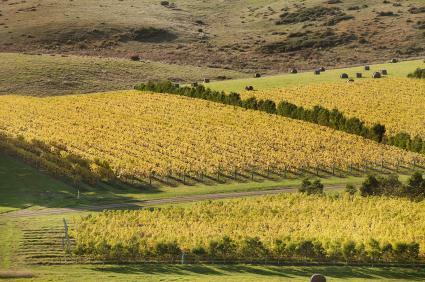 Located on the Southeastern tip of the Australian continent, Victoria is home to more than 800 wineries. Varied microclimates throughout the region allow for production of a wide array of grapes including Pinot Noir, Chardonnay, Nebbiolo, Pinot Gris, Riesling, Gewürztraminer, and Shiraz, among others. Located off the southeastern tip of Australia, Tasmania has a cool climate that lends itself well to Burgundy grape varietals such as Pinot Noir and Chardonnay. The region also produces sparkling wines. Torbreck Woodcutters Shiraz is an affordable Shiraz made in the new world style that is juicy, ripe, and spicy. It received a favorable review from Wine Advocate. Torbreck The Struie may be a little bit of a splurge at $50, but this rich Shiraz consistently receives Wine Spectator and Robert Parker ratings in the 90s. Penfolds is known throughout the world, both for its world-class wines like Grange (the 2008 Grange received 100 out of 100 points from Wine Spectator), as well as its affordable wines and port-style stickies. James Halliday's Wine World rates Penfolds as five out of five stars. Try the affordable Barossa Valley Bin 138 GSM (Grenache, Shiraz, Mourvèdre). It has flavors of cherry and chocolate. Cellar Tracker notes that the 2007 version received 88 points from The Rhone Report. Penfolds Tawny Club Port is a delicious sticky that is reasonably priced at under $10. Wine.com notes it received 89 points from Wine Spectator. Two Hands winery in Barossa Valley makes delicious and accessible wines that are easily located in wine shops and grocery stores. Many of the wines receive 90 points or higher from James Halliday's Australian Wine Review. The delicious Two Hands Brilliant Disguise Moscato is the winery's take on a traditional Moscato d'Asti, a lightly fizzy white with delicate floral and frangipani flavors. The International Wine Cellar (noted on Wine.com) gave the 2011 vintage of this wine 90 points. Bella's Garden Shiraz was listed as one of Wine Spectator's top 100 wines of the year for 2012. This McLaren Vale winery makes wonderful New World style wines including reds, whites, and stickies. The wines consistently receive ratings in the low 90s from Wine Spectator and Robert Parker. Try The Stump Jump Red, which received 90 points from Wine Spectator for the 2008 vintage and was on Wine Spectator's Top 100 Wines of the Year list from 2010. That's an excellent rating for a $10 bottle of wine. NV d'Arenberg Nostalgia Rare Tawny Port is a delicious and affordable Tawny port that receives consistently high ratings from wine reviewers like Robert Parker, Stephen Tanzer, and James Halliday. Australia's climate and terroir is unique, and many world class wines come from throughout the country. Enjoy Australian wine and experience the flavors the country's winemakers have to offer.